It’s not known the amount of cafés there arein Galway now, I am going to have to go on a serious coffee crawl (will make a change) and come back to you on that one, but they seem to have sprung up everywhere and possibly now even out number the pubs, which is kind of worrying? Never mind, the best in my opinion are the ones that began as bakeries, so you are always going to get fantastic home baking, scones, apple pie, cakes and a decent sandwich. Like Griffins on Shop St where they even have real turf fires. Then we had the new kids on the block like Mocha Beans (the original) and Arabica, which introduced gourmet coffees and muffins, imagine? And now we even have Butlers who are doing a fantastic take out trade, what is the world coming to? 1	Antons Father Griffin Rd, Morrocan vibe, paninis, wraps, salads and mint tea. 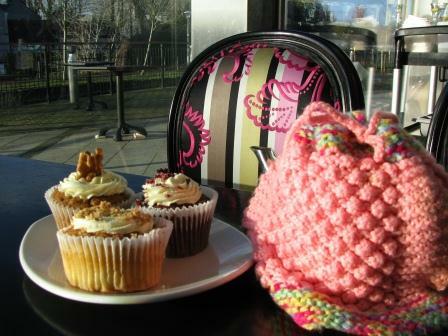 2	Born Centre Bright and cheerful, comfortable couches, teapots with knitted cosies, wonderful scones and 'red velvet' cupcakes! 3	Butlers Shop St, very popular take out coffee or hot chocolate with a free handmade chocolate of your choice. 4 Café 8 Galway Museum Spanish Arch, marvellous mediteranean food, nice quiet cultural surroundings. 5	Goyas Café Kirwans Lane, raspberry cream roulades, lemon meringue pies, to eat there or take away. 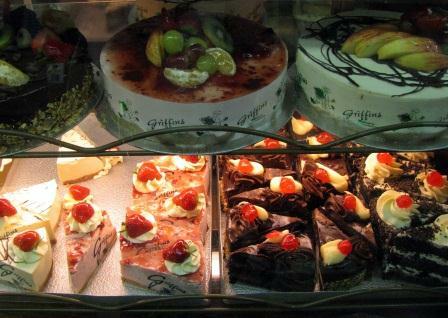 6	Griffins Bakery Shop st, traditional homebaking & real turf fires. 7	Mocha Beans 3 locations, great all-day breakfasts, not to mention the best coffee in Galway and cranberry scones. 8 Revive on the corner of High St & Cross St, upstairs is a real hidden gem of a room with tall windows looking out on the buzz of Quay St.
9	Sam Baileys Eglinston St, great soup & brownbread, with nice healthy lunch options at reasonable prices. 10 An Cupan Tae (the cup of tea) Spanish Arch, just opened an Irish style, your Grannys sittingroom, speciality tea shop everybody is raving about.